P.S. There’s great promotions the White Panda Massage has kindly provided my readers! So read on and check out the promotion below! Limited Time only! Thanks to streetdirectory.com, Darren and I got to experience the foot and body massage service from The White Panda! I asked the boss why is it called The White Panda, and I thought the story behind the name was pretty interesting! 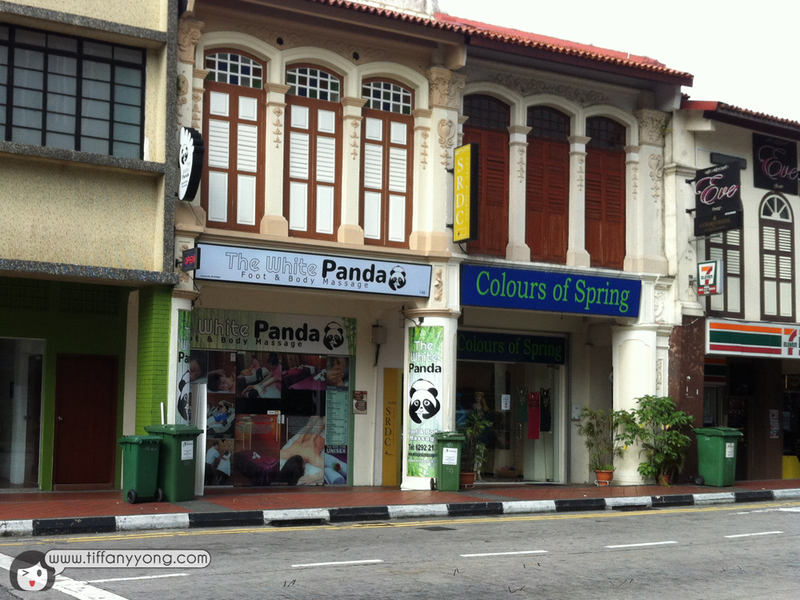 The massage center was set up around the time Kaikai and Jiajia came to Singapore, and Panda is actually a symbol of Peace, Good Fortune and relaxation, with no stress and strife. So the boss hope that The White Panda Massage can be a place where customers feel relaxed. It’s that simple! Cool right? As you can see, don’t ever think we bloggers get to enjoy all the services properly ok! See Darren so hard at work (while I’m actually chatting with the masseur and distracting Darren at the same time). I was actually trying not to fall asleep as the chair is SUPER comfortable. I feel like a king princess la! Look at the range of tools he’s using on Darren! It was pretty disgusting interesting to see flakes of Darren’s dead skin falling out like dandruff snow flakes under the light. I regret not touching his foot to do a before-after test. Lol… go check out his blog to see what his review! Ok, I’ve seen foot massages where the customer was squealing like a piglet, but this uncle (his name is Leon) is pretty smart! He says if it’s too painful, customers can’t really relax and rest, and not painful doesn’t mean no good! In case you don’t know, foot massage is able to improve circulation and aid cleansing, rejuvenate and enhance immunity. 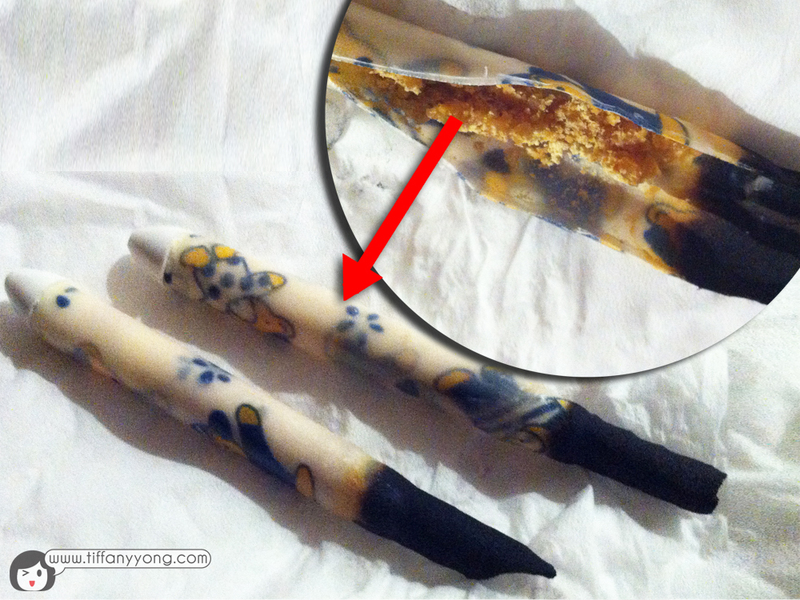 It can help prevent and cure many symptoms such as headache, stress, asthma. For ladies on heels all the time out there, there will be certain muscles that will be particularly sore when you do the foot massage. I was almost floating by the time it is done. **They use Nivea cream instead of oil, so by the time you are done with the foot massage, your leg feel soft and supple instead of oily and slippery! I like this part where the masseur was “hitting” my leg super fast, like the Huang Fei Hong’s No Shadow Kick, his was from hands. Oh ya, it was like Ip Man’s punches against the Japs! Just that it’s comfortable rather than painful! How good is it? It’s so good that I brought my mummy here with me! Ok, My hair’s really messy! Mummy wore blue specially with me? Haha… not sure leh! My mummy is quite camera-shy! That’s why so stiff la! The lady masseur suggested a oil massage when I told her I had constipation and hormonal imbalance problem. In comparison to my previous massage experience, they are in the middle. Not too painful (fingers big enough) and I could actually feel most of my acupoints being pressed correctly, so it’s not just about massaging my muscles! What I love most about the massage was the moment when she pressed some points on my neck and rolled down to my back, I could feel the sore point moving down, along with her fingers to the bottom of my spine. That was something I didn’t experience in my previous massage. There were also super sore ones that she pressed between my shoulders, my whole arm went numb. But it feels super relaxed after the tension was released. *Many people are too shy or embarrassed to tell the masseur that it is too light or too hard, but remember to do so as that will enhance your massage experience! The sweet lady told me that they have herbs in the ear candle and they are able to tell the condition of the body based on the colour of the herbs. So I decided to experiment it for myself. The herbs are supposed to be white before burning, and what I got was slight yellowish (which means I have a bit of toxin, and heatiness). If it’s dark yellow, brown or blackish (if you ever get there) it means there are a lot of toxin inside your body! Exclusive Great Deals Just for You! Everyone loves great deals. So here’s one good one for you! Just like The White Panda Massage Facebook Page and flash this coupon when you are at the counter. DO call 6292 2148 to book your appointment beforehand to avoid disappointment! It’s valid daily from 11am to 4am till 31st May 2013! Like The White Panda Massage Facebook Page to be updated with their latest promotion! Disclaimer: Please be rest assured that even though the services were sponsored, it does not have any bearing on the content of this post. Opinions stated are genuine and honest.